Spring has arrived and home owners are often eager to get outside and spruce up their yards. It’s important when doing so to keep safety in mind. 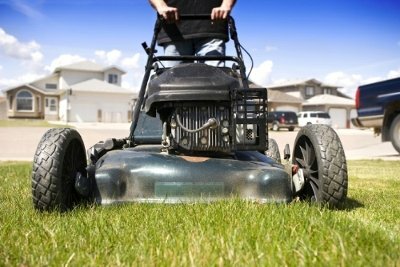 “Before you use a mower, trimmer, blower, chain saw, pruner or other piece of outdoor power equipment this season, it’s important to refresh yourself on handling and safety procedures,” said Kris Kiser, president and CEO of the Outdoor Power Equipment Institute (OPEI), an international trade association representing outdoor power equipment, small engine and utility vehicle manufacturers and suppliers. 4. Protect your power by using only E10 or less fuel in outdoor power equipment. Some gas stations may offer 15 percent ethanol (E15) gas or higher-ethanol fuel blends but any fuel containing more than 10 percent ethanol can damage—and is illegal to use in—small engine equipment not designed for it. The Outdoor Power Equipment Institute (OPEI) is an international trade association representing power equipment, small engine, utility vehicle, golf car and personal transport vehicle manufacturers and suppliers. OPEI is the advocacy voice of the industry, and a recognized Standards Development Organization for the American National Standards Institute (ANSI) and active internationally through the International Standards Organization (ISO) and the International Electrotechnical Commission (IEC) in the development of safety and performance standards. OPEI is managing partner of GIE+EXPO, the industry’s annual international trade show, and the creative force behind the environmental education program, TurfMutt.com. OPEI-Canada represents members on a host of issues, including recycling, emissions and other regulatory developments across the Canadian provinces.